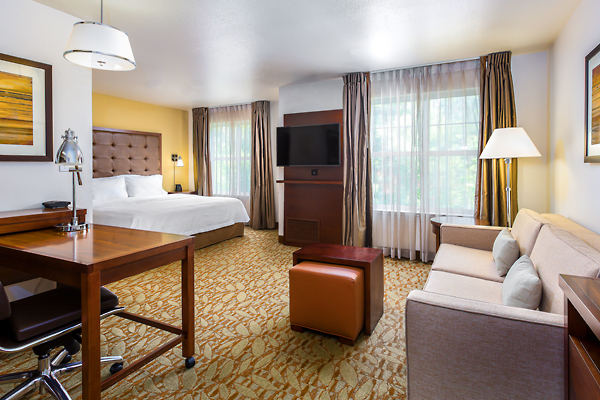 Suites by Hilton Newark/Fremont offers 192 studio, one and two bedroom suites, or take advantage of our Executive One Bedroom suites featuring a separate office. The hotel provides a wide range of amenities, all for the same price as a standard hotel room. Each suite is decorated in modern decor; featuring fully equipped kitchens and separate living rooms area. 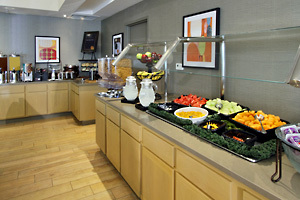 We offer a complimentary daily hot breakfast and manager's reception Monday through Thursday. 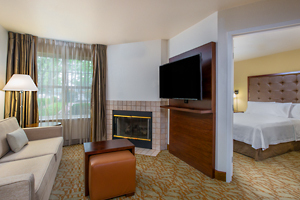 All suites feature queen size beds, two-line phones with data port, and 37" flat screen TVs with free HBO. 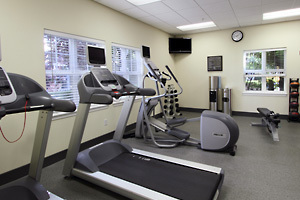 For leisure, the hotel offers a large fitness center, heated pool and Jacuzzi, and sport court with tennis, basketball and volleyball available. 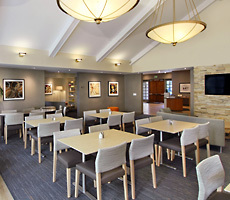 Additional amenities include an on-site convenience store, and complimentary grocery shopping. 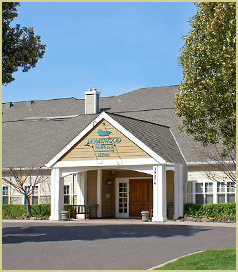 We are centrally located between San Jose and Oakland with access to both airports via highway 880. San Jose International Airport is within 15 miles and Oakland International Airport within 19 miles. We are adjacent to Newpark Mall with over 120 stores/restaurants and movie theaters. BART is only two miles away, offering convenient transportation to many bay area cities, including San Francisco.